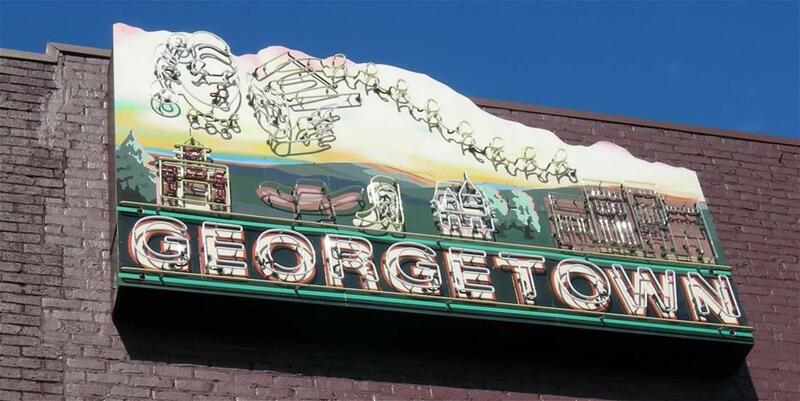 Seattle’s Georgetown Neighborhood Makes Top 10 List—You’ll Never Guess Which One! Spoiler: It's the top 10 green neighborhoods list. Georgetown is number eight. Apologies for the clickbaity title. You should know that we would never make you click through twenty pages only to find a mediocre surprise at the end of the journey. Back on topic, this is actually pretty cool for Georgetown, the area formerly known for satisfactorily dingy bars, burgers, and a weird smell probably produced by a mixture of said beer and burgers with a hint of airline fuel. Redfin found that 56 percent of Georgetown homes were considered green, meaning they had one or more green features. The study, conducted by Redfin data scientists, analyzed real estate listings for homes sold between January 2017 and April 2018 in more than 80 metro areas. The study also found that homes with the aforementioned one or more green features sold at significantly higher rates than those boring old techless homes—green had a median price of $569,000, compared to $522,000 for all other homes. That's…like a $47,000 difference. Right? Yes. Numbers one and two on the list were, surprisingly, in Cleveland—the Malvern and Fenway neighborhoods in the upscale Shaker Heights neighborhood known for its sustainability efforts, among other things. Neighborhoods in Philly, Orange County (CA), and the hipster haven Red Hook area of Brooklyn rounded out the list. What does this mean for Georgetown? Nothing much more than a brag piece. It does, however, bring to light the fact that our builders and residents are trying. And that means something. Built Green, which certifies green homes in King and Snohomish counties and advocates for sustainability, can likely take some credit for Georgetown's number eight spot; last year, the partner program of MBAKS certified more than 800 new homes, which isn't easy to accomplish. Homes must adhere to vigorous checklists to be considered Built Green. Says Built Green Program Manager Leah Missik, "Building green is about more than the gadgets that go into a home. (Programs like) Built Green work hard to promote healthy, sustainable communities in a variety of ways." Missik and Built Green are proud to lead by example both locally and at a national level. In fact, Missik says, "Each individual (Built Green) home is more water and energy efficient, healthier, and more comfortable, but our checklist also promotes walkability, access to transit, and community resources." Missik drives home the importance of all-encompassing, sustainable communities like Georgetown and those others on the list, saying, "Homes are, after all, part of a community through the people who live in them!" It's no secret that in progressive cities like Seattle and its surrounding areas that green is quickly becoming the new gold. People pay more for healthier, more sustainable homes and builders know this. Money has always talked, but when you attend a Built Green event, you quickly realize the people involved in green building also walk the walk. It's about more than higher home prices, which are already doing just fine in our area. It's about building a healthier future for our kids, and their kids, and so on. Congratulations on being green, Georgetown. We'd buy you a beer, but you probably already have that covered. Subscribe to our Builders Blog for the latest in industry news, advocacy, and more in your inbox.